A data scientist needs to have skillsets in a wider horizon and is expected to not only have knowledge in statistics and coding but also should be good in visualization and storytelling. Data science is a constantly growing field with new tools and techniques being introduced and older ones getting obsolete frequently. The demand for such trained professionals outgrow the training institutions in both quality and quantity. Many boutique-training institutions are taking a note and bringing their own offerings in this field. But how many of these courses are relevant and meets the expectation of the industry. This is our annual ranking of top 10 analytics training institutes in India. Here we bring to you the top analytics education institutions in the country by meticulously going through the institutes and their offerings. The institutes are ranked on the following 5 parameters, just like each year course content, pedagogy, external collaborations, faculty and addition features like Virtual Labs, Placement Assistance, Events etc. This year we got more than 15 institutes taking part in this ranking. We take into account student as well experts feedback to carve out this cherry-picked ranking of just 10 institutes. AnalytixLabs is a capability building and training solutions firm led by McKinsey, IIM, ISB and IIT alumni with deep industry experience and a flair for coaching. ALABS pioneers in high quality online and classroom training since 2011. Their USP is industry focused and job-oriented courses along with a high degree of personal attention from the faculty. They offer a wide array of courses in Data Science, Big Data Analytics and Data visualization along with global certifications. Apart from individual professional training, they have worked with prestigious clients, like American Express, BlackRock, EXL Services, Jabong, Snapdeal, Times Group, Tech-Mahindra and even Indian Army. Team together has over 50 years of rich experience in Analytics & Consulting and the trainers are handpicked from leading firms like McKinsey, Deloitte, Genpact, Fidelity and Facebook. Case study based modules crafted by experts based on real life business scenarios ensure that participants learn practical applications and get flavors of various analytics problems, thereby steepening their learning curve. Dedicated placement cell and counselling by a panel of experienced faculty members who have had first-hand experience in analytics recruitments. Suitable candidates are also offered internship opportunities within the in-house R&D wing, which is focused on upcoming advanced analytics and big data solutions. Edvancer has been providing analytics, data science & big data training globally for the last 2 years and has trained thousands of people in this time period. It is an IIM-IIT alumni venture which provides the most practical, industry focused, hands-on, cost effective courses which enable students to gain skills needed by industry. Edvancer has been awarded the Big Data Training Institute of 2015 by Silicon India Magazine. Edvancer offers courses in Business Analytics, R, SAS, Hadoop & Big Data, Text Analytics, Banking Analytics, Python for Analytics etc. Edvancer’s courses are designed & delivered by industry experts who are rigorously evaluated to select the best experts to create and deliver the best courses. Satisfaction levels with Edvancer’s faculty are very high and is a big differentiating factor for the institute. Edvancer conducts trainings through live, instructor led, online classes. These virtual classrooms provide complete interaction with the trainers and other participants and work just like a normal class. They use a case-study based methodology within their courses with a focus on working hands-on on the concepts. Some of the courses are also provided through a ‘Self-paced + Faculty support’ pedagogy where the trainees can learn through recorded videos at their own time & pace and can get faculty help for any doubts or queries. Edvancer offers placement assistance to the students and in the past several of their students have got interview opportunities and placed with various firms like Hansa Cequity, TCS, ICICI Lombard, Smartcube, Eclerx, Atos Origin, Capgemini, Accenture etc. International School of Engineering (INSOFE) has been conducting world-class classroom based training in Big Data Analytics and Optimization for over 4 years, having 600+ alumni. Its certificate program is certified for its quality of content, pedagogy and assessment by the Language Technologies Institute (LTI) in the School of Computer Science (ranked #1 in the world by US News and World Report) at Carnegie Mellon University (CMU). This program is also listed #3 (#2 among academic institutions) in the world by CIO.com for “Big Data Certifications That Pay Off”. INSOFE is flanked by Columbia University and Stanford University in this list. INSOFE’s flagship certificate program, CPEE (Certificate Program in Engineering Excellence), has scored another first by being the first certificate program in the world to offer complete tuition waiver and paid internships. In every batch, INSOFE offers this fellowship to a few people with work experience ranging from 0-5 years, after due process. This certificate program is weekends-only and spans a duration of ~6 months. INSOFE’s focus on high quality applied education has led to many companies actively engaging them for their corporate training and Centres of Excellence building needs. INSOFE has conducted such trainings for organizations in India, US, UK and Middle East. Established in 2012, Imarticus is India’s leading Analytics professional education company, which assists individuals and firms in meeting their human capital and skillset requirements through our range of bespoke training programs. Imarticus is headquartered in Mumbai, and has presence in over 10+ cities in India. Experienced Educators: Having educated over 10,000 individuals, Imarticus is in a unique position to understand the learning needs of aspirants and design it’s training to be stimulating & relevant. Imarticus has a range of customized delivery methods such as classroom training, elearning, workshops and seminars that are delivered globally and are managed by a fully integrated learning management and governance system. Coverage: Imarticus has training capability across various analytics techniques and tools such as R, SAS, Python, Big Data, Hadoop, Data Visualization, Tableau and more. Imarticus is led by senior professionals from universities such as Columbia, MIT, Harvard and INSEAD, with 150+ years of combined experience in the Technology, Analytics and Financial Services domain. In addition, Imarticus has over 10+ dedicated analytics faculty and over 30+ empaneled faculty members in the field of Analytics. Corporate Connect: Imarticus is the preferred sourcing & corporate training delivery partner for over 80 firms, which include leading Global & Domestic Banks, Consulting, KPO’s, Technology & Analytics firms. Edureka is India’s fastest growing online education marketplace for live, interactive courses in technology and business verticals. Edureka currently offers over 75 courses ranging from big data and analytics, to mobile programing, to digital marketing and professional certifications; all taught by top industry experts. Edureka follows a highly effective delivery model of instructor-led live online classes with 24×7 support and free lifetime access to all the course content. This content resides in a state-of-the-art Learning Management System (LMS). Edureka’s course content is up-to-date with industry requirements and is aimed at students and professionals who want to up-skill themselves. Many of these learners are interested in working in the analytics industry and are keen to enhance their technical skills with exposure to cutting-edge practices. According to NASSCOM, analytics market in India is expected to double to $2.3 billion by FY18. To this end, Edureka is bridging the talent gap through courses on new technologies – particularly in the fields of Big Data and Analytics. These courses are helping professionals gain the right skills and knowledge required to build a successful career in the analytics industry. Some of the popular analytics courses at Edureka include Big Data & Hadoop, Mastering Data Analytics with R, Data Science, Data Visualisation, Hadoop Administration, Apache Spark and Scala and Digital Media Analytics. IMS Proschool, in association with NSE India (India’s largest Certification body in Finance) offers Business Analytics Certification Program. Proschool along with the Parent company – IMS Learning Resources, has trained more than 300,000 candidates for different competitive exams and various professionals courses in Finance, Accounts & Analytics etc. Proschool has also trained more than 16,000 employees of different BFSI companies such as ICICI Group, State Bank of India, Citibank, Kotak Group, etc. IMS Proschool is a partner of NSDC – National Skill Development Corporation, an initiative of Union Ministry of Finance to provide skill development training to the youth. Designing and delivering a Business Analytics (BA) Training Program is very challenging since it is a cross functional area that requires understanding of statistical techniques, data extraction and management with IT tools as well as the domain knowledge where the analytics may be used. At the same time the trainees also have varied backgrounds ranging from IT to management or commerce graduates with no work experience. IMS Proschool Program has evolved to achieve a fine balance between these divergent and vast areas. We believe the program now blends the right amount of stats, IT and domain and can be understood by most trainees even with different backgrounds. The Big Data Analytics course using Hadoop from Manipal ProLearn is designed to provide a comprehensive learning experience to those who intend to create a career in analytics. It is targeted at software professionals, project managers, testing professionals and fresh graduates. The learners are trained through multiple mode such as video lectures, reading materials, online-practice sessions, case studies and webinars from subject matter experts. The program is of 120 hours duration. Manipal ProLearn is the online marketplace for certifications from Manipal Global Education Services. The certification programs aim to bridge the skill gap prevailing in emerging areas of analytics, digital marketing and IT. Ivy® Professional School (Ivy) is a pioneer in the Big Data Analytics and Data Science training in the country since its inception in 2007. 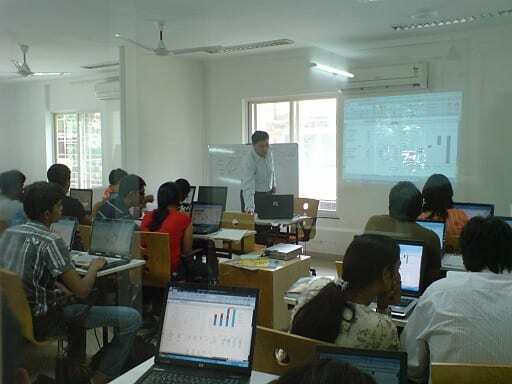 Ivy’s programmes on Business Analytics, Big Data, Data Visualization and Advanced Data Scientist have become benchmark courses for several analytics companies for training and skill development. Besides the core courses, Ivy offers Live Projects / Internships Backed Comprehensive Short-term Course Packages for Individuals, Problem Solving workshops and career enhancing workshops in the form of Communication Skills, Resume Building, Interview Sessions etc. to its students. 10,000+ trained from 10+ countries, 50+ corporates and 100+ colleges (including IIMs, IITs, ISIs, etc.). 65+ analytics companies have recruited Ivy’s candidates through its dedicated Career Center team. Flagship program: Different Skill Development training program under Skill Development Initiative Scheme, Govt. Of India. NIVT® -the training brand of Novel Research and Development India (P) Ltd.” Incepted in the year of 2003 based in SDF Building, Webel Electronics Complex, Salt Lake City, Sector-V, Kolkata, WB, India is the premier training provider in the field of Business Analytics, Data Science and Information system management. NIVT is an innovative concept of imparting technology training to young professionals in niche areas starting from beginner’s courses to Data Analytics, Business Intelligence tool and other emerging technologies. We aim to fill up the huge ‘Skill Gap’ in the analytics industry across pan India. Our courses in business analytics are designed to embed business orientation, statistical and data mining skills to enable candidates to apply business analytical techniques in their work areas immediately after completion of the courses. NIVT focuses on offering project based Analytics training on Market Research & Retail Analytics, Financial Analytics, Clinical Analytics; Social Media & Web Analytics, HR analytics, Fraud Analytics etc. using the emerging technologies like Base SAS, Advance SAS, SAS Analyst Application, R Programming, SPSS, Advance excel, Big Data Hadoop, Python, Tableau etc. We have a proven track record of placement in different organizations. The Placement Cell arranges interviews for students by the prospective employers, and monitors on-job training. Majority of students get proper and satisfying placement. OrangeTree Global is a leading Business Analytics and Business Intelligence Training organization with Centers across India. The organization focuses on Business Intelligence tools like SAS, R, SPSS and VBA. The case study centric approach ensures that students and professionals learn and master the application of Analytical techniques on Business Intelligence Tools. With regional offices across Mumbai, Pune and Kolkata the company has been providing analytics training to some of the largest FMCG, Financial Institutions, Media Houses, prestigious educational institutions and IT companies in India for more than 5 years now. Some of its clients comprise ITC Limited, Reliance, IIT Kharagpur, Yes Bank, St. Xavier’s Mumbai. Training is provided through live classrooms sessions and online and are aimed at working professionals and smart fresh graduates who aspire to join the Analytics industry. The full program spans over weeks and covers modules on Business Analytics taught on Business Intelligence platforms such as SAS, R, SPSS and VBA. Tableau. Students who complete the course successfully are then required to sit for an in-house certification examination. The answer scripts are circulated amongst the different centres and graded by different faculty members. The certificate issued has been named the BIBA (Business Intelligence and Business Analytics) certification and it is now a widely accepted certificate. For letting us know about top 10 analytics training institutes in India as Rank wise. Thank you sir but i am recently passed out student and working as php developer and i want to learn data analytics how many month and money i need to spent on it to get Good job ??? Thank you for the insightful knowledge about the institues concerning Data Analytics. I wanted to inquire about the pre-requisites of taking the course. What i mean by that is- is there a need of thorough knowledge of programming languages for these courses? Or, if there’s anything else, please mention it. A good hold on programming is needed for analytics and thats something which most institutes would not teach in-depth. Analytics include couple of adjacent skills including (not limited to) statistics, programming etc. So, atleast an understanding of coding is needed, if not completely ignorant of it. Thanks for sharing info on Data Analytics. Are there are full time under grad degree courses in Data Analytics which one can take up in Mumbai, after completing 12th grade? If yes, which is the best option to go with? Kindly advise. Jagdish. I am not aware of any undergrad degree in analytics in India. Though, I personally believe that we should have one. For institutes where you say that the mode of delivery is both online and offline, is the offline delivery mode compulsory? Of late, there are so many so called data analytical centers have cropped up in mumbai and navi mumbai operating from godowns, claiming to be best institutes, and looting students with their bad or no infrastructure (only glitzy websites). Students and parents should beware of such night by wire institutes, and student should not destroy their careers. They should get them enrolled with govt run institutes. What do you think about the Full Time PGP in Analytics offered by Aegis School in Mumbai, by Praxis in Kolkata and by MISB Bocconi in Mumbai? We will soon be publishing our list of Top courses. that would cover the B-schools in India. Aegis is offering a Business Analytics course (Post Graduate program in Business Analytics & Big Data) in partnership with IBM. 2> how attuned is it to the market requirement? 3> how does the market perceive its output (job prospects)? 4> How strong is IBM in the Analytics space? What is its market share globally and India specifically and future outlook on IBM technologies..
Would you advise that people take up this course? Do you want to recommend any other academy – am 15 years in IT Sales after completing BE computers & Masters in Marketing, so prefer intensive classroom (full time / part time) to online dispensation.